March is almost over, but I'm pushing it out to make April get here sooner....hip hip HOORAY for Easter. It's time for a recap of the month of March and a list of my favorites. 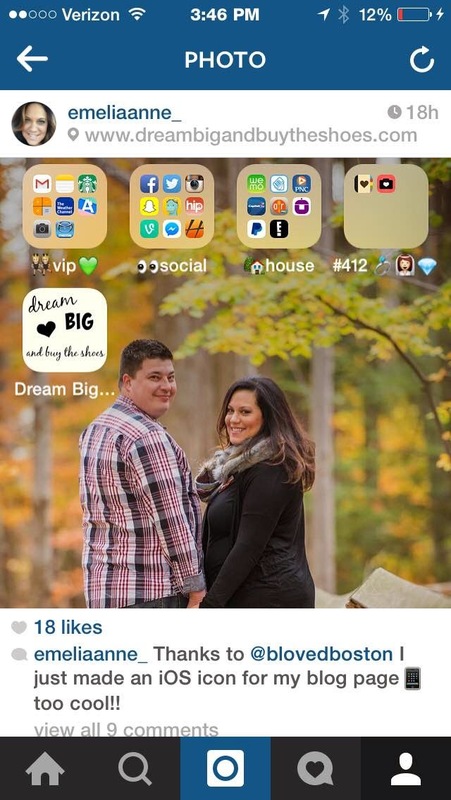 Favorite DIY: Biana from B Loved Boston shows us how to make a custom iOS blog icon for your home screen, which I did and it was SO easy. I used Pic Monkey to create it, and the whole process took less than 10 minutes. THANK YOU Biana! Favorite Recipe: These Rainbow Marshmallow Treats from Hot Dog It's A Food Blog look absolutely amazing. The colors make me want to jump through the screen and take a bite right now. Favorite Post: Sarah from Venus Trapped In Mars tried a new take on a Weekend Recap, "If I Had Instagrammed The Whole Weekend", which I loved. I may have to borrow this idea in the future because it's pretty cool. Favorite New Buy: My Rock Cuff from Frou Frou Frill has me all kind of heart eyes. 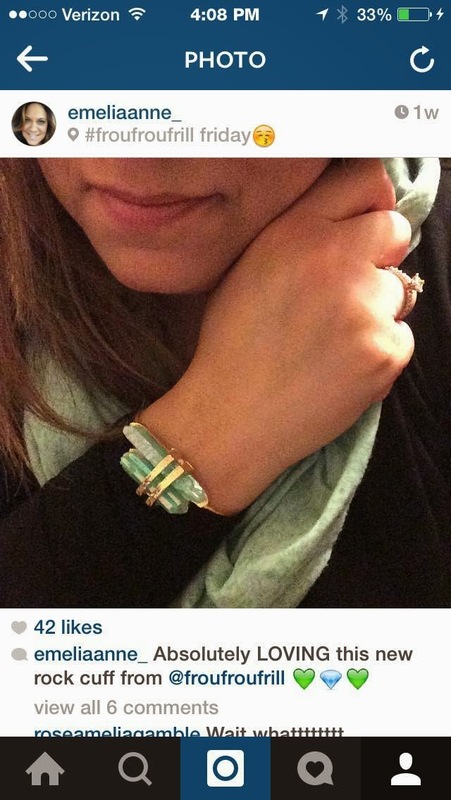 I love the color green, and this beautiful bracelet is a stunner. P.S. Are you following me on Instagram? It's taken over as my favorite Social Media outlet. Favorite TV: Freaks and Geeks on Netflix is a funny show with Seth Rogen and James Franco. It's only on Netflix, and didn't make it past the first season until it got cancelled, but I'm enjoying it. Favorite Inspiration: Chelsea from The Girl Who Loved To Write puts out amazing content on the regular. Her words are beautiful and speak to me often. I loved this post about living in the here and now. What are some of your favorites you've been loving lately? Gotta check some of these out! LOVE that bracelet and those marshmellow treats look SO good mmmm. Ok I LOVE the rock cuff and I will be making those rainbow treats! Thanks for sharing! OMG I want those rice crispies in my mouth right now. GIVE ME ALL OF THE RAINBOW MARSHMALLOW TREATS! Seriously can't believe March is almost over. Love your iPhone design. I will have to follow along and make one for myself as well. Have a great weekend! RIGHT! Get in m belly! Thanks to YOU, great post Biana...thank you for reading too! XO! Me too, let's all get together and make some ;)...now THAT would be fun! Thank you Julia, you know I LOVE my Frou Frou & Frill! They look SO pretty and tasty! Thank you for reading Rebekah! I LOVE the green, it's seriously stunning in person. Thank you Kerri, it's so perfect gearing up for Spring and bright, fun colors! GIVE ME those treats please ;) AMAZING! Thank you so much, everyone loves your recipe-thank you for sharing with us!